This year is winding down and most major car events are already over for the year. We have been blessed to have been able to attend plenty of classic and performance car events this year. From modest cars and coffee gatherings to the grand Pebble Beach Concours d’Elegance and Monterey Car Week. 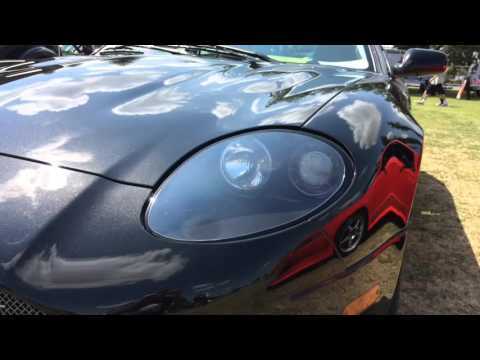 We’ve been able to see everything from exotics to classic Muscle cars. This weekend was the 17th annual Cruisin’ Morro Bay Car Show and Cruise and classic cars including Corvettes, Porsches and a Ferrari highlighted the event. The event started Friday night with the cruise where a large number of the cars from the show took a drive around the small coastal town on California’s Central Coast. The cars were largely American muscle cars and hot rods, but there were also a few foreign sports cars and an Italian exotic. The Grand Marshal for this year’s car show was Dennis Gage of My Classic Car fame. Dennis was driving around on a golf cart looking for interesting classic cars to film for his TV show. An episode of the show will air at a later date and will feature the car show, so watch for it on SPEED. The number of cars was huge. I’ve been to a number of car shows, including Pebble Beach, and this year’s show was one of the largest car shows I’ve attended. The classic cars took over the downtown area of Morro Bay and when you looked down the street you just saw a sea of people and cars. While there were a lot of great classic cars in the show, there were a few cars that stood out. Most of the cars where American cars and of the American cars a Corvette that was the Pace Car at the 2002 Indy 500 got a good amount of attention. Other American cars included a Shelby Ford Mustang GT500, Shelby Cobra’s (both replicas and original), a DeLorean and a lot of Corvettes. There where also a few foreign sports cars at the show. These included a Porsche 356 Speedster, a Porsche 914 2.0 and a Ferrari 430 Spider. All of these cars got a lot of attention as they stood out from the crowd, but the Ferrari got the most attention as Ferraris aren’t usually at this type of show. The Cruisin’ Morro Bay show is always a good show, but this year was even better than past shows. The show also happens the first weekend in May, so if you want to attend next year’s show mark your calendar now. The Ferrari 458 Italia is one of the best cars to have come out of the Italian automotive manufacture in recent years. The styling is stunning and the performance is some of the best you can buy. But, is the 458 a bit soft compared to other Ferraris of the past? This video takes a look at this to see if the Ferrari 430 Scuderia that preceded it offers a more pure driving experience. 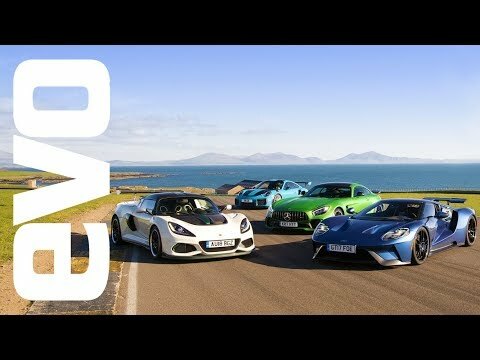 The video contains a lot of good footage of the mid-engine sports car being put through its paces. The Scuderia takes the 430 to a whole nother level over the standard car and it is pretty much a modern classic. Hopefully, Ferrari will decide to give the 458 the Scuderia treatment and make it an even more focused driving machine. While we haven’t heard of any plans for one, we can always hope.